5 Mobile Productivity Apps For 2017 | GUI Tricks - In Touch With Tomorrow! 5 Mobile Productivity Apps For 2017 - GUI Tricks - In Touch With Tomorrow! consuming and handling data. All it takes is a wireless connection and a mobile device to change the way you view and store data. With the cloud, you have access to a wide variety of educational, edutainment, and entertainment applications that are readily available for download. These days, applications are a dime a dozen, and with so many new launches and start-ups bringing their product to market, it may seem overwhelming trying to search for an app that works. Some apps are fads or useless, and some offer real value to your productivity at home and the office. Here are our top five choices for the best mobile productivity apps of 2017. Do you use PDF’s in your business? PDF’s are the world’s most popular means of sharing information. Most PDF suites available come as expensive packages that take up a lot of memory on your phone o tablet. The team at Soda PDF have revolutionized the way we handle and share PDF documents. Soda has an online PDF suite that allows you full capabilities of a PDF editor, enabling you to be the editor online to customize and share your documents as you please. 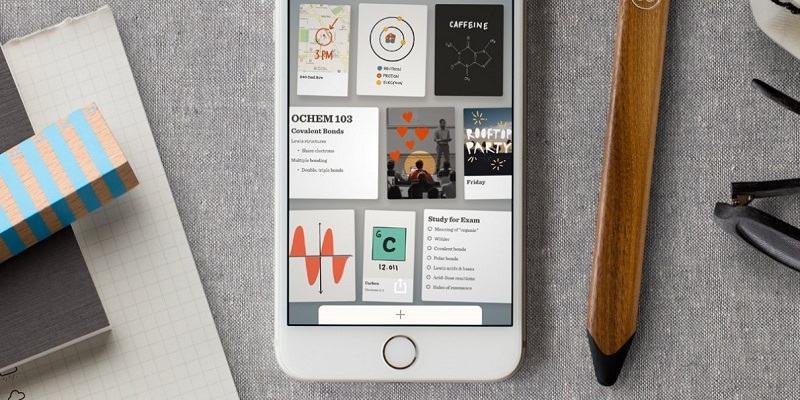 Evernote is the ultimate note-taking software you will ever need. This app lets you store your notes, sketches memos, and sound bites on your mobile device and them sync them onto your other platforms and devices. Never lose another idea again, Evernote is always on hand to capture any moment of brilliance that you have. Have you ever been in the middle of reading an important article, only to be interrupted by another important task? Did you go back to the article later, or did you forget about it? Pocket keeps all of your unfinished files and media pieces readily available to you to catch up with later when it's more convenient to do so. Don’t throw it into the ether, put it in your pocket. Do you struggle with time management? Don’t worry; it’s the number one challenge for most professionals and executives in a variety of industries and sectors. Time Tracker records your activity online, taking note of how much time you spend on different sites. You can access a report that breaks down your activities and then use the information to alter your online behavior and improve your productivity. Collaboration tools will help you stay in touch with your team and meet your project deadlines. Use Basecamp to mane=age the largest projects and keep your team in contact with automatic notifications and updates of project tasks. Get reminders for deadlines and important milestones coming up on the project. These five app selections make for a good start into the world of productivity apps. Download them and try them out for a few days. They all have natural, user-friendly interfaces and excellent connectivity. If your team executes on them, you could be improving your communications and collaboration before the end of the week.